I give and devise to Lycoming College (Tax ID #24-0795965), located in Williamsport, PA, all (or state a percentage) of the rest, residue, and remainder of my estate, both real and personal, to be used for its general support (or for the support of a specific fund or program). 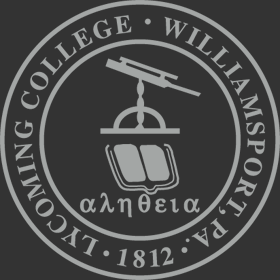 I give and devise to Lycoming College (Tax ID #24-0795965), located in Williamsport, PA, the sum of $___________ (or asset) to be used for its general support (or for the support of a specific fund or program). If (insert name) is not living at the time of my demise, I give and devise to Lycoming College (Tax ID #24-0795965), located in Williamsport, PA, the sum of $ _______ (or all or a percentage of the residue of my estate) to be used for its general support (or for the support of a specific fund or program). You may name Lycoming College (Tax ID #24-0795965) as a beneficiary of your IRA or other qualified retirement benefits. Donors should consult with their tax advisor regarding the tax benefits of such gifts. Naming Lycoming as the beneficiary of a qualified retirement plan asset such as a 401(k), 403(b), IRA, Keogh or profit-sharing pension plan will accomplish a charitable goal while realizing significant tax savings. It can be costly to pass such assets on to heirs because of heavy tax consequences. By naming Lycoming as a beneficiary of a retirement plan, the donor maintains complete control over the asset while living, but at the donor's death the plan passes to support Lycoming free of both estate and income taxes. Making a charitable gift from your retirement plan is easy and should not cost you any attorney fees. Simply request a change-of-beneficiary form from your plan administrator. When you have finished, please return the form to your plan administrator and notify Lycoming College. We can also assist you with the proper language for your beneficiary designation to Lycoming. If you or your attorney would like Lycoming to provide you with customized beneficiary language that is specific to your goal and interest, please contact us.